Having stayed away from home in a different city for almost 4 years, I know that nothing can take away the feeling of missing Home cooked food. As a matter of fact, eating out is just never as good and given the crazy lifestyle we all lead, cooking dinner each day seems like very difficult task, so we end up avoiding doing so. 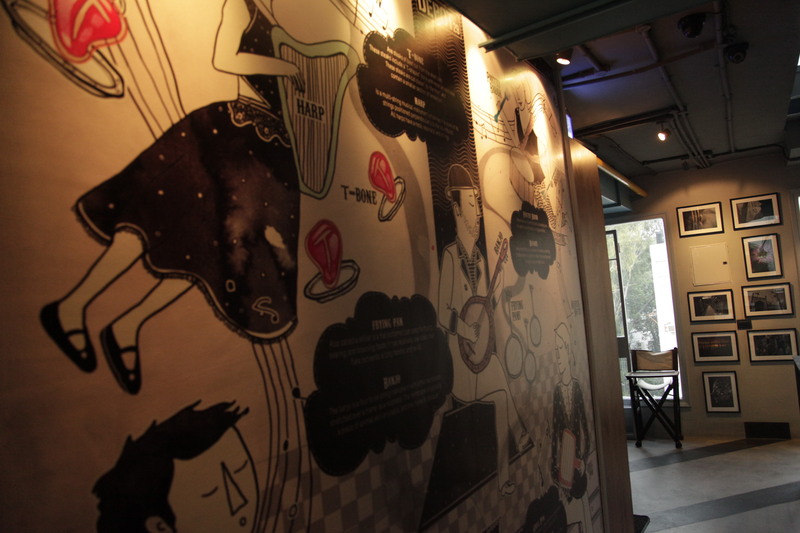 Keeping this concept of ‘Ghar ka Khana’ in mind we have a new cosy cafe, called Flick a dish. 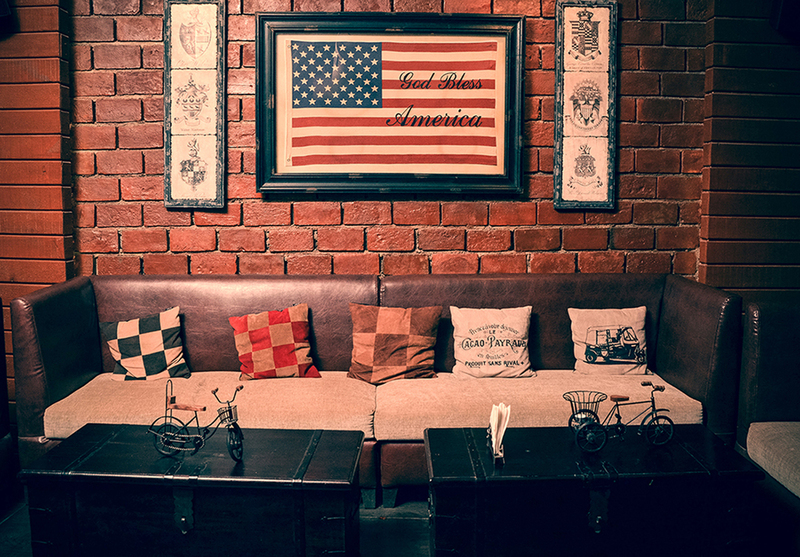 The cafe looks like someones living room, with red walls and curios across the walls, vintage table clothes, antique teapots and old Bollywood movie posters. 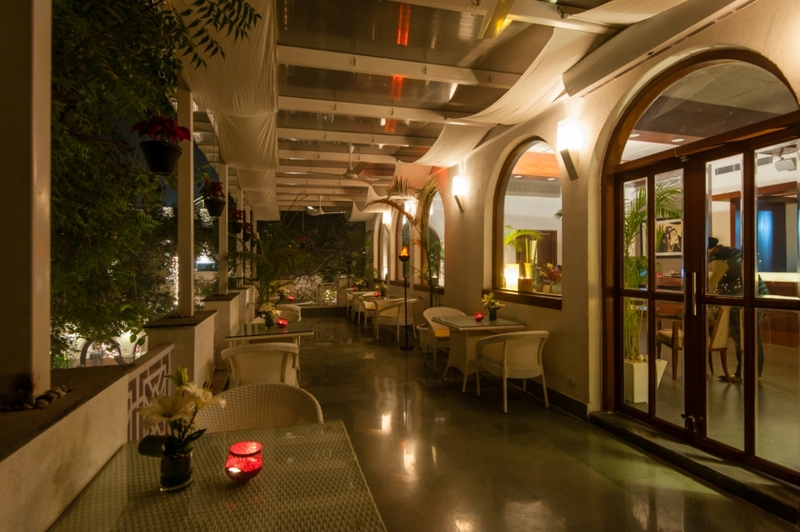 A little off the main Ring road in Delhi, the idea behind this cafe is to satiate all those desires for home cooked food. Most dishes have kept authentic flavours in mind, but there are a few experimental dishes like Omelette curry. We wanted to have a simple meal, so besides the omelette we tried the Paneer Mumtaz and Chicken Korma along with Tawa roti. But even most other dishes like Chicken Pakora, Baked mushroom in white sauce, Malai Kofta, Mutton cutlets and mutton chops looked quite delicious, a must try for next time and looked right out of our grandmothers kitchen. 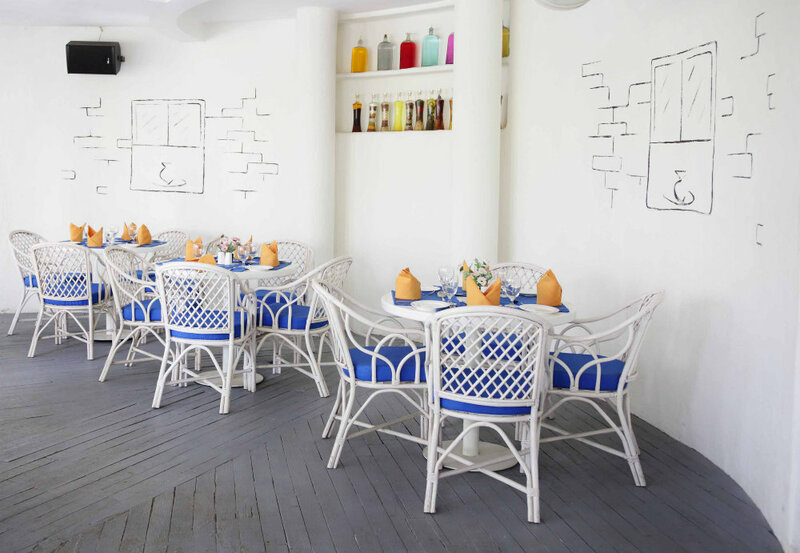 The restaurant is run by Mrs Jyoti Mathur, the author of ‘My Cooking Recipe book for Special Children’, who believes in making every meal a memorable experience. With a very simple menu, the experience is definitely something I would recommend you go for if you are craving a simple no fuss meal in what could be your grandmothers living room. 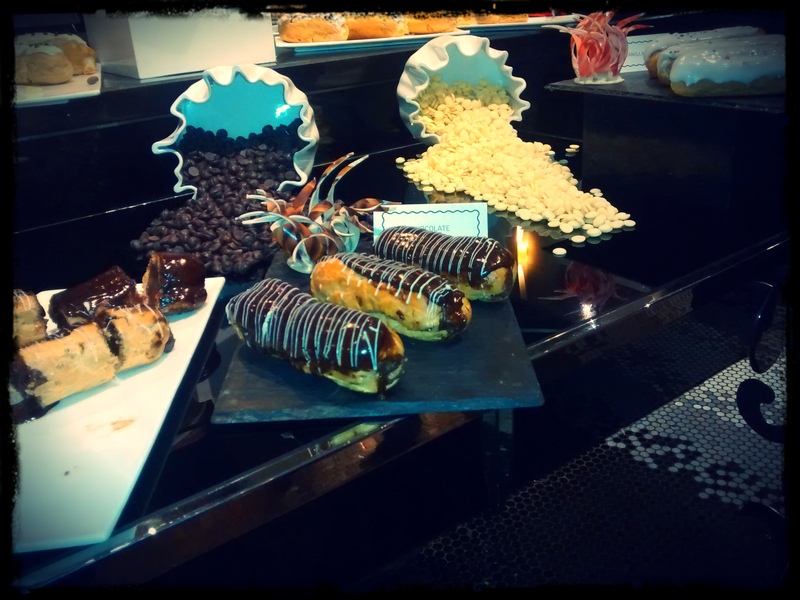 The food’s delicious… love the place… Et cetera… Etc. The word usually does get around… when something’s worth speaking about…Went there last week… the performances were great but the food, sinful…A little bit of everything… food… music… and it’s beautiful! Et cetera… Etc. A lush forest extends torpidly around the place. The structure set within has tall window arches, high ceilings and colonial style interiors… The lavish indoor seating and welcoming outdoor patio looks upon a private courtyard that requests your satisfaction. The view of the Qutab Minar from the recently opened ‘Ambawatta One’ makes ‘ETC’ one of Delhi’s trendiest new openings this season. 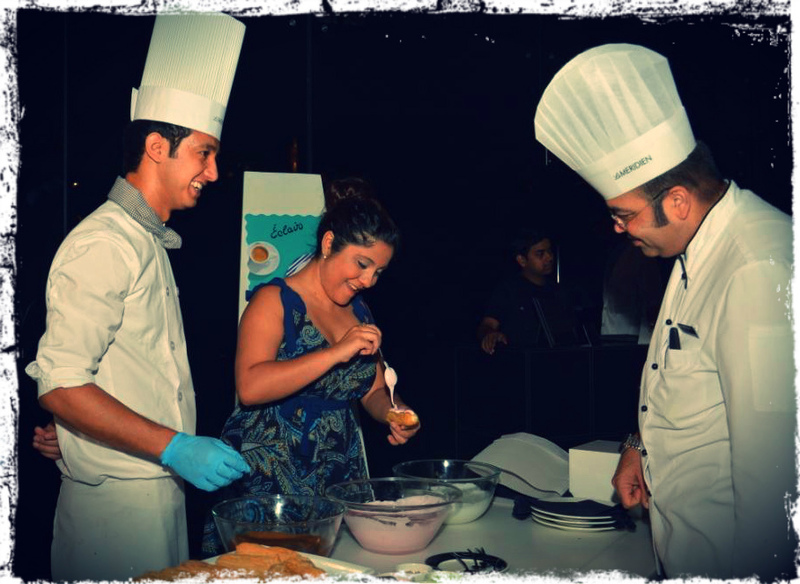 Each serving prepared by the multi-chef manned kitchen is a hearty ‘Bowlful’ to be remembered owing to, both, its flavour and presentation. 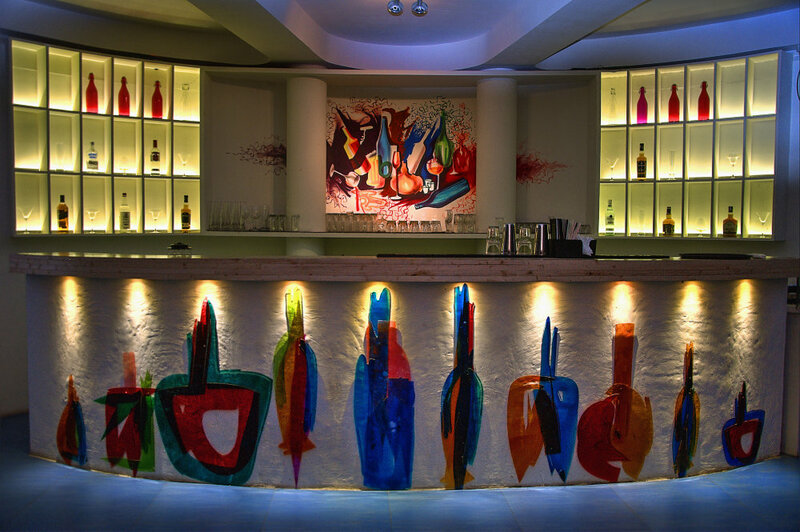 The Terraces swank their own bar and oversized barbeque that are an emphasis on certain nights. The cuisine spans across South East Asia – the menu is a bold compilation, in the form of scrumptious smatterings of Thai, Chinese, Burmese, Indonesian, Japanese Etc. 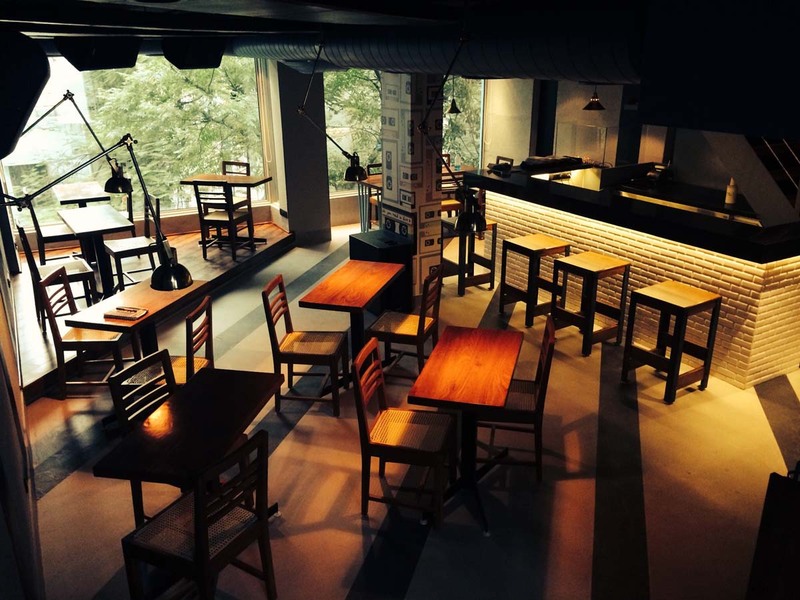 “And If food is music to the body then music is food to the heart” – a mantra well followed by the owners of Etc. 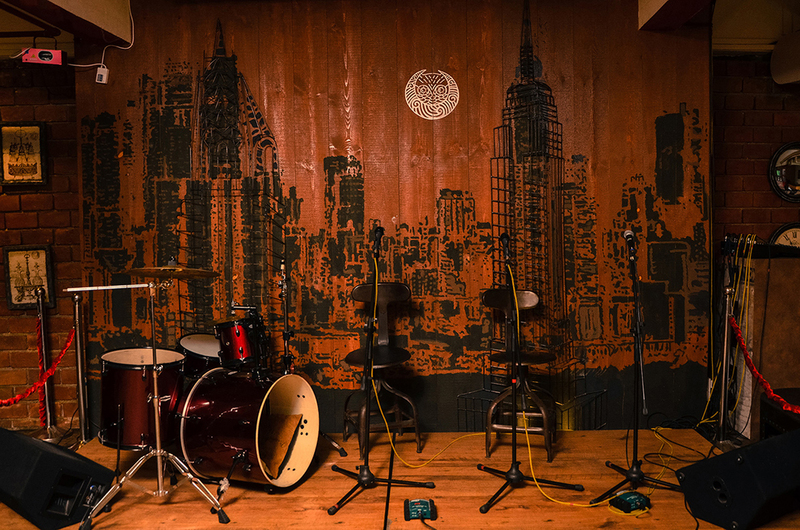 The venue aims to provide a platform for acts from the world of performing & visual arts. An enviable calendar boats a variety of entertainment options for visitors on each visit with performances & displays by musicians, actors, comedians, dancers, singers and artists Etc. 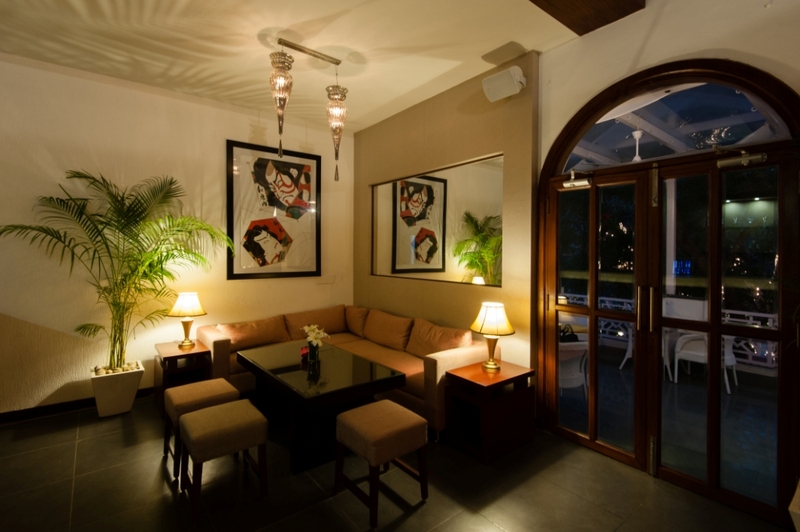 With the varied indulgences in order, a destination is borne, where visitors can expect to be pampered by good food and an ambience to match at any given point through the day, and at night. Be it an indulgent cup of coffee with a friend or meal well eaten with those you love, watching the sun set over the Qutab while relishing a cocktail while the chefs pamper your taste buds or tapping your worries away to the beat of your favourite band…A little bit of everything all parcelled in an abbreviation, Etc. I love Director’s cut, at the Ambience mall in Delhi as I had mentioned a few months ago after my first visit. 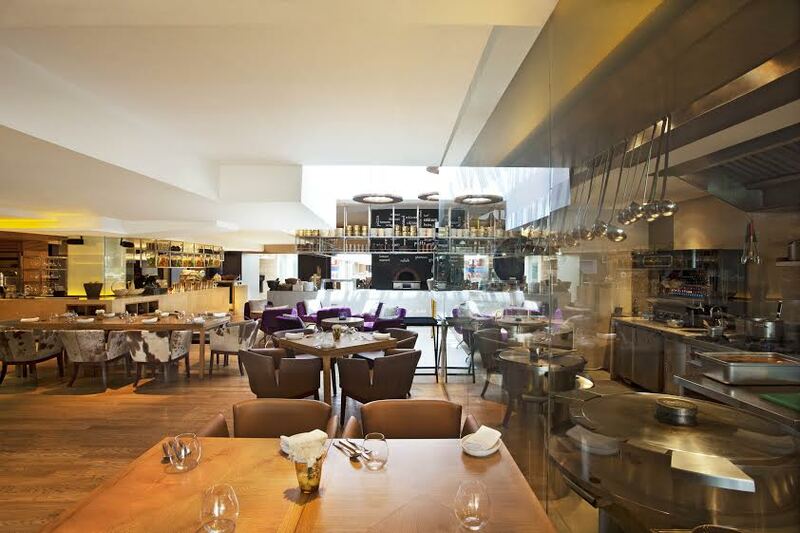 And an add on to the Director’s cut is Mistral by PVR a restaurant right outside the cinema hall. 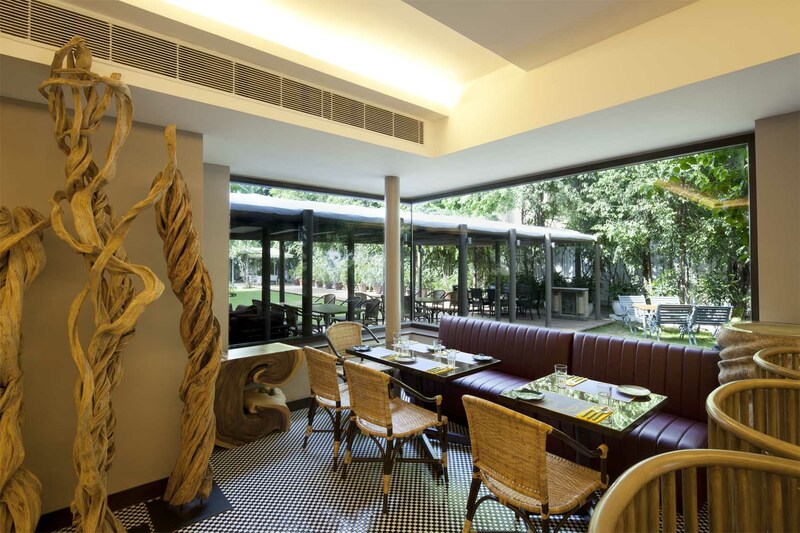 A casual dining concept, Mistral offers a high quality experience in “smart-casual” settings and atmosphere, at great value prices. Polished casual dining lends itself equally well for a business dinner, a family luncheon or a private function.Spread over a carpeted area of 5,666 sq ft with 120 covers, ‘Mistral’ boasts an extensive Grill kitchen comprising of a Rotisserie, Fish grill and Kebab stations designed as a see through kitchen closed by a wrap-around floor-to-ceiling glass curtain where cooks and Chefs can be seen preparing orders giving a theatrical ambiance. 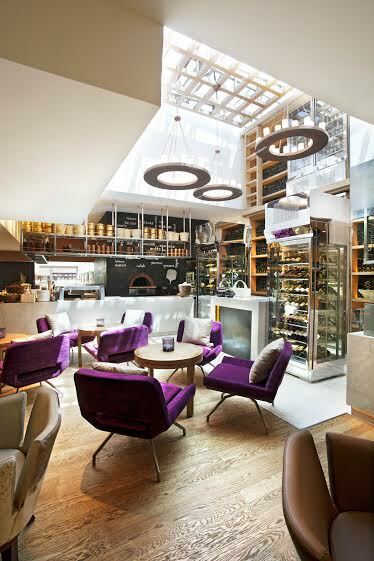 At Mistral, the Grill is also supplemented with fresh bakery products and pizzas which are baked in an Italian pizza oven. I had stepped in before a movie and decided to try out some food with a glass of wine. 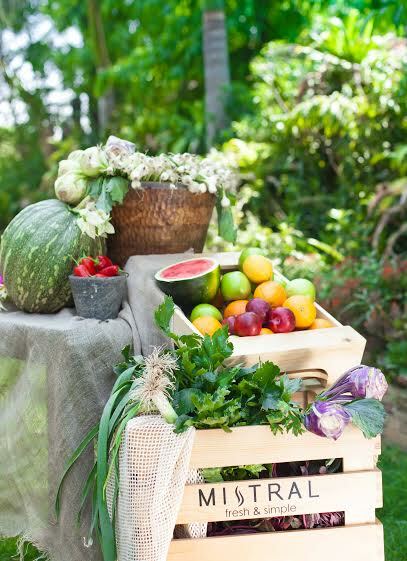 The All Day Breakfast Menu-Fresh from the farm which is inspired by the continental breakfast classics and designed with organic ingredients, is created with fresh and natural ingredients to beat the heat. We went in for the Brekkie Salad, which was poached eggs, vine, yellow & cherry tomatoes, bacon, sourdough bread & preserve. We paired this with a Chilean white wine and then tried a pepperoni Pizza from the main menu. All in all, the ingredients were refreshing and the meal was delicious. 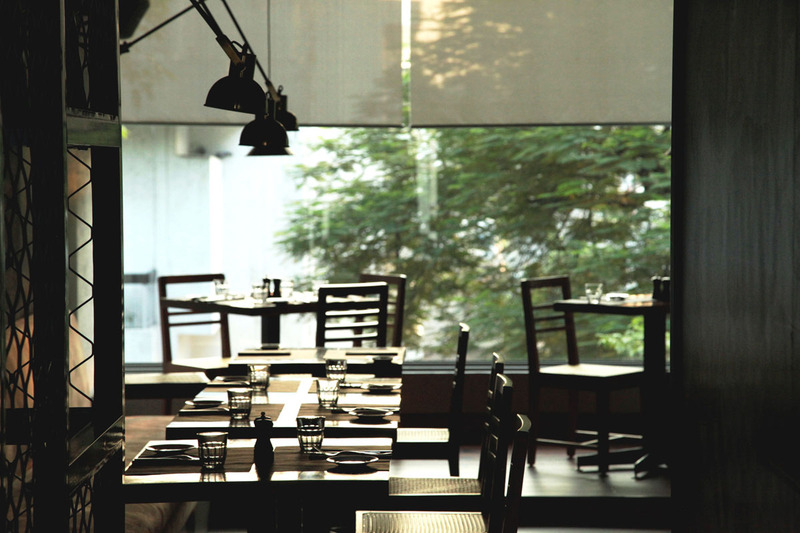 As chef Mayank Tewari says, “At Mistral we pride ourselves to emphasize on where the food comes from, where it is grown. Central to this ethos is our constant pursuit for the most dedicated producers in the area who like us adhere to uncompromised quality as guiding principle. The All day breakfast organic ingredients are supplied by one of our favourite producers, French Farm in Haryana.” He also assure me there will be lots more such innovations, so I can’t wait to go back for some more. Sprawling across 13,500 square feet, He Said She Said has a huge open-air, tarp-covered section along with an air-conditioned bar, a fine dining restaurant and a terrace bar perfect for sun-downers and gigs. Also considering the fact that this was the day Germany was playing the United States to determine if the US goes through the next round of the FIFA world cup you could see a whole lot of football enthusiasts had converged at this bar making the environment electric. The main area, apart from a giant screen airing the 9:30pm WC games, has a beer pong table, a British phone booth exclusively for selfies and enough space to indulge in various drinking games leading to free drinks (6 shots in 6 seconds anyone??). As we were coming to terms with the sheer size of this bar, Kuber, who runs the establishment, was kind enough to give us a tour of the place. 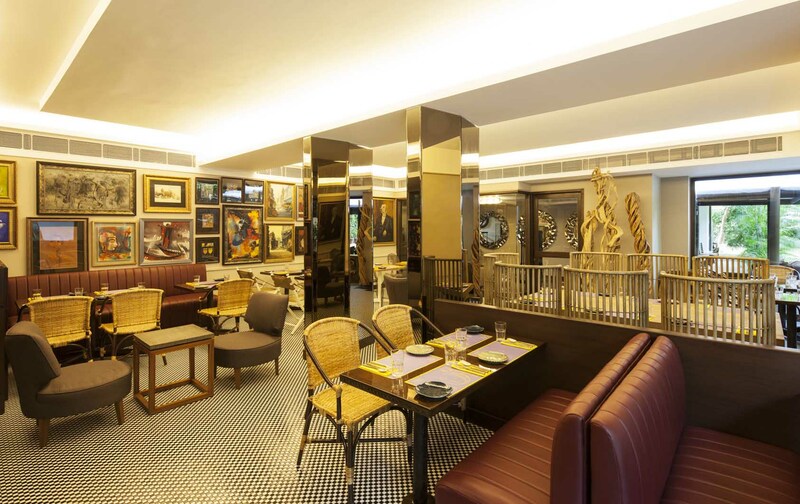 With going from a place that is 1/5th its size in Delhi to opening this establishment, He Said She Said has hit the nail on its head when it comes to accommodating everyone in this city who likes a night out, with brilliant and comfortable décor that is very complimenting of its ambiance and vibe.Vishal Gupta, a very young and talented interior designer and artist has done the concept and design of He Said She Said. On the Ground level there are 2 Outdoor sections with Not-That-Loud Music where people can talk and lounge. 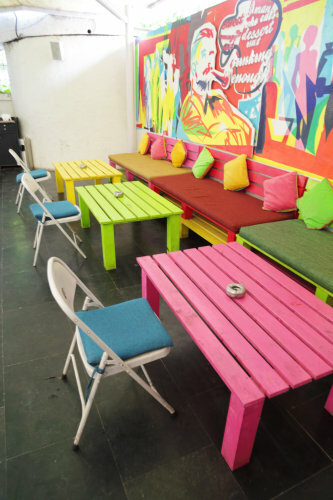 It sports a grass turf, high chairs, sofas, benches with a very relaxed atmosphere. Inside there is an section specifically labelled “Loud Music” where you can dance beside the DJ console, but there is only a clear glass division between the indoor and outdoor section thereby utilizing the openness and space. These areas have colorful digital art in form of Characters as well as a Cityscape that adds to the distinctiveness and a flowing fountain in the outdoor section that has miniature character installations on it (fishing, sitting and even urinating!). The digital art is very difficult to mount in walls without printing or tracing but HS3 got the extremely talented Bhuppi (from Delhi) to hand-paint all of them to precision. Moving up the ladder, the place metamorphoses itself to the land of Greek Gods. 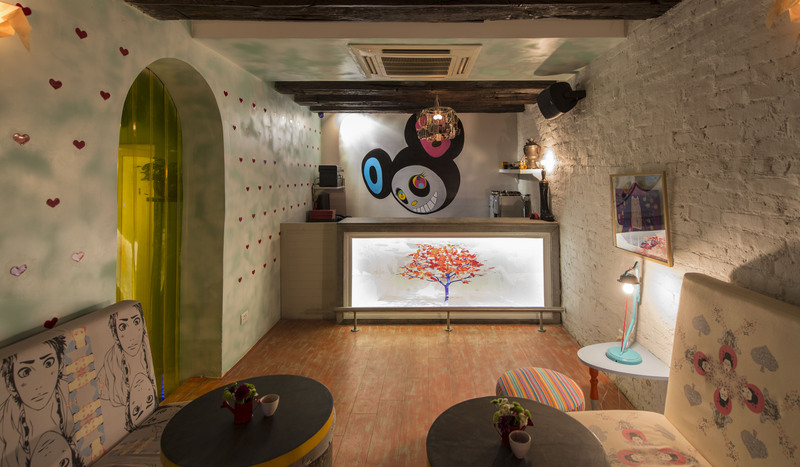 White Washed Hand plastered walls and Retro artifacts welcome you to the Fine Dining area with even softer music levels. 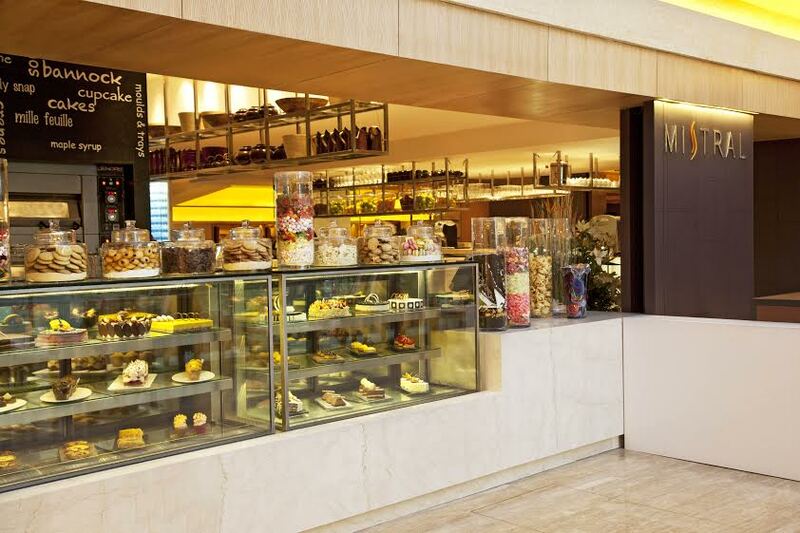 Treat your taste buds to exclusive European delicacies in this section. Finally, the top Level has a covered Terrace with a small stage that can accommodate small gigs, screenings, etc. Before we got stuck into the food we had the privilege of tasting some of the many shots the bar had on offer, it was a shame I could not try all as I would have definitely had a memory lapse. 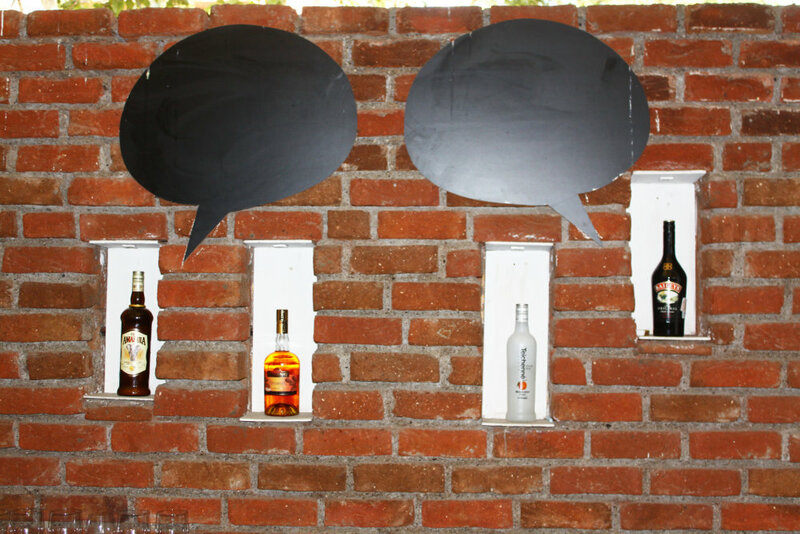 He Said She Said has on offer over 40 shots divided into ‘layered’, ‘chocolatey/creamy’, ‘fruity’, ‘spicy’, ‘balls of steel’, ‘it’s different’, ‘ice-cream’ and ‘Mumbai special’ options, all priced between Rs120 to Rs349. Something that is ideal in case one wants to get a quick buzz before heading out to party.Our captain recommended the following sequence of shots and it was the greatest combination of pick-me-up-I-am-ready-to-start-this-party-shot I have ever had. We started with a ‘Red Hot Chilli Pepper’, which came with a green chilly, that one bites into before taking the shot and keeping it in your mouth for 30 seconds before gulping it down. One chases this shot with the ‘Chai Maila’ a concoction of whiskey and caramel soothing the spiciness of the previous shot. Needless to say I was attuned to what effect those shots were meant to have and they did not disappoint. Another fun things to try at He Said She Said apart from their different shots is their FotoFunbooth where patrons enter a Old Retro Telephone booth, sign in into Facebook, get their picture clicked with various props and accessories and instantly upload it, tagging the friends who they want. It is a unique fun experience which will make your memories last forever with friend. Now for the food,we ordered a wide variety of starters and bar food to go along with our beers and game of football. The pepper and olive cheesy parcels are highly recommended by the bar and they live up to their billing. A great combination of melted mozzarella with some pepper and olives infused together before slightly fried and coated to keep them together. This was the perfect accompaniment to our beers. Apart from this the quintessential Okra Kur Kure and garlic bread helped keep the beers down and games interesting.From the fine dining menu we received a sampling of the Stuffed Chicken on a bed of mushroom risotto along with a portion of BBQ chicken wings. 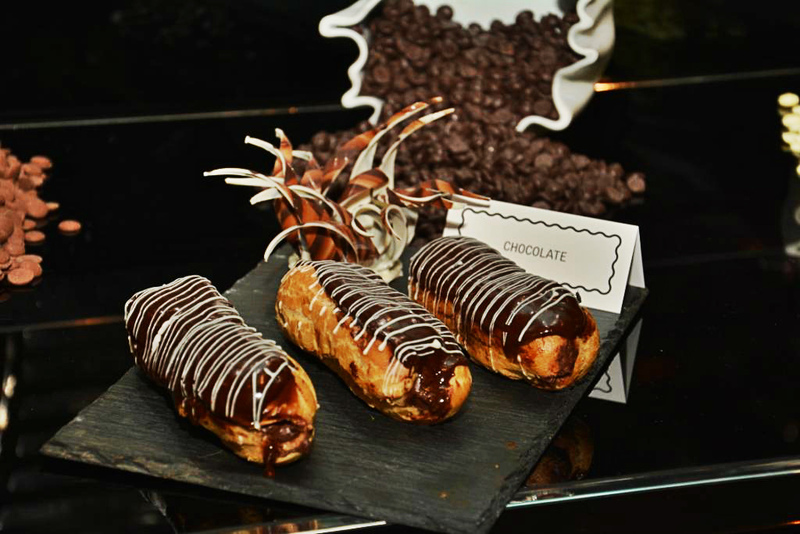 We washed these down with a few more shots, which included the Aampanna shot (an old favourite) and the chocolaty Coco Chanel (comes with an actual Kit-Kat bar). Each shooter is so unique and wonderfully presented that you cannot help but try a few. To sum up all I can say is He Said She Said in Andheri quite literally provides everything one could ask for at a night out. 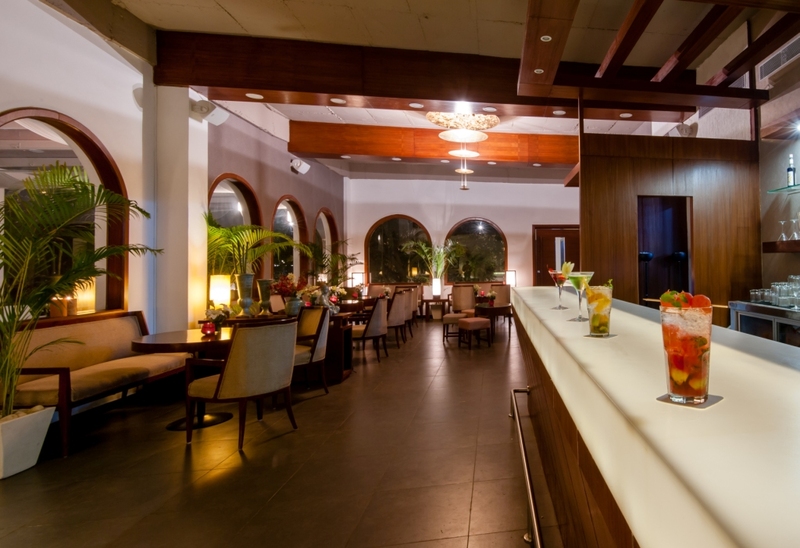 One can start with some relaxed beers in the main area, move to the louder air-conditioned bar, head up for some fine food at the restaurant and end the night enjoying a gig on the terrace. Coming from Delhi and complaining about the lack of space Mumbai has to offer, trust me such quality establishments are diamonds in a coalmine. 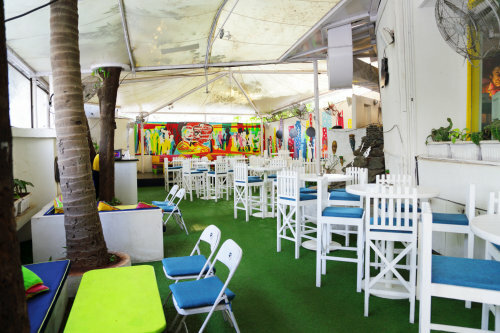 Amongst the plethora of identical bars/pubs spread out over Colaba, Bandra, Juhu and Andheri finally there is a place that is quite appropriately ‘for everyone’. 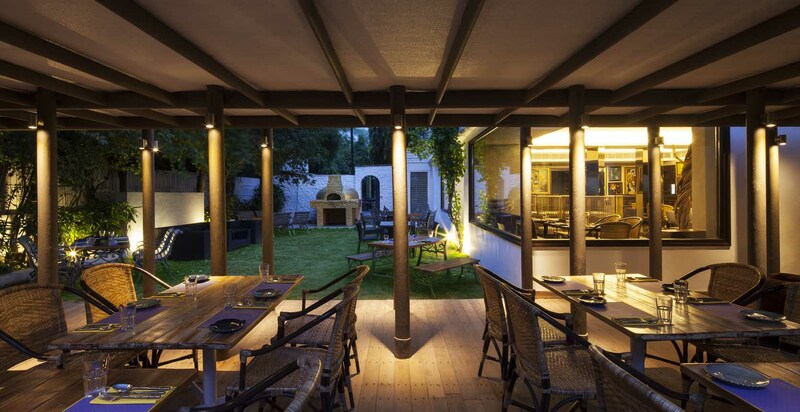 There are two myths about Japanese cuisine in Delhi, first that it is all about raw sea food and second that the decor has to be streamlined and simple. Guppy by ai breaks both the myths and introduces us to a different side to Japanese cuisine in the most charming and memorable way. Starting with the decor, the 2200 sq. 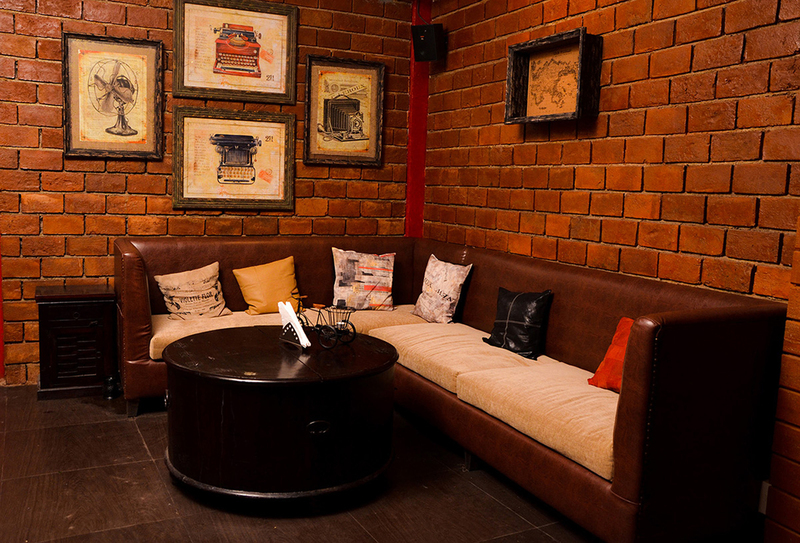 feet space designed by Anshu Arora has been divided into three areas, the restaurant, the bar and courtyard. Each area has unique features to recreate a playful wonderland in a modern setting. 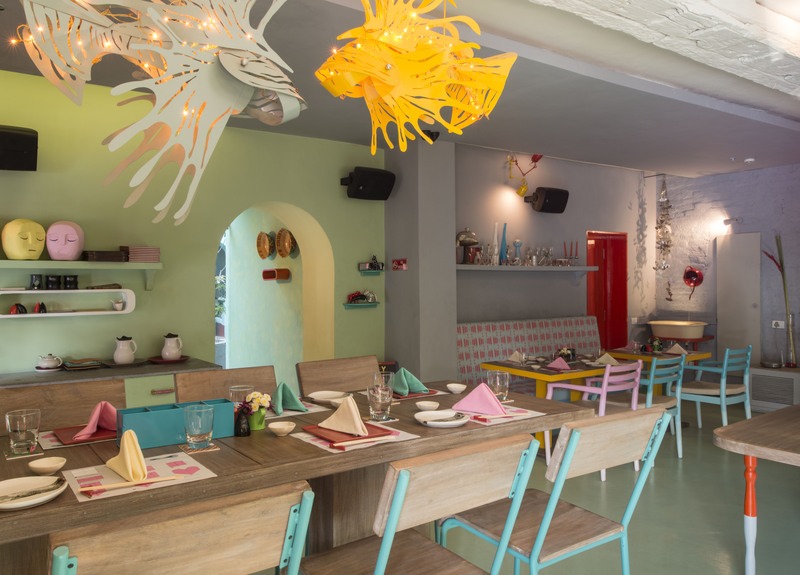 Every unique element from the solar fired heart shaped tiles to the lighting and fixtures have been customized for Guppy making this one of the quirkiest restaurants I have visited. A manga artist has worked on murals, window art and column figures. There is clever use of Origami (Japanese paper art) and metal to make lights. The bar area from where you enter the restaurant shows an artistic representation of Mickey Mouse behind the counter, while anime inspired upholstery adorns the couches and heart shaped wall paper cover the walls.A feature water body with a stream of metallic Guppies (tropical fish as I discovered) strung together like a stream of a river make for an unusual water installation.The charming courtyard which was the highlight of Guppy for me has a anime inspired sculpture, smaller tree light boxes, a huge mural, candle lighting and casual seating centered around a tall Frangipani tree.The dining area focuses on a sushi counter and a big community table with comfortable, casual seating around it. 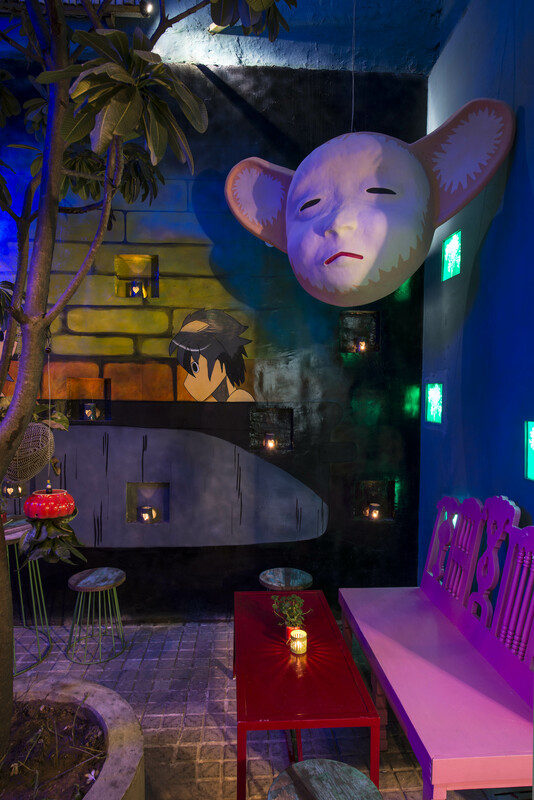 It has touches of studio designed and custom tailored kimonos on the walls.The area also boasts of two specially sculpted metal lion fish lights and Japanese kokeshi dolls, vintage cameras, old tiffin boxes and more such Japanese memorabilia scouted from antique shops. Of course how can I not mention the polka dot bathroom.We started with some vodka and wasabi based cocktails at the bar recommended by the manager. They were a perfect start to a lovely evening at the end of a harrowing week. As we munched on some edamame and gossiped, the starters started coming to our table and then began one of my most exciting culinary journey’s. I who can eat Sushi every meal of every day was actually gorging on everything else Chef Vikram Khatri decided to serve us, not because the Sushi was bad, it was delicious, but everything else had such a unique texture and taste I could not drag myself away. We started with, Chirashi Seafood Salad which is Pickled prawn, tuna, salmon, crab and baby greens in goma-ae dressing and finished every last morsel. We then moved on to Guppy Signature Pork Belly which is Slow braised pork belly, glazed with soy honey, served with mustard miso sauce and actually melts in your mouth. We then moved on to the gluten free, amazing texture in your mouth Exotic Mushroom Gyoza and Prawn Gyoza which were equally delish before trying the Sushi’s. The Sushi assortment included the Prawn Tempura roll and Spicy Tuna roll which we found the best but also the accompaniments supported the dish really well; the ginger was slightly sweetened and the wasabi was not too sharp. For mains we had Grilled Jumbo Prawns and Guppy Signature Black Cod with some Garlic Fried Rice. Of course, even though we were stuffed to the brim no Japanese meal can be complete without dessert, in our case was Red velvet cake, which was absolutely out of the world. Honestly it is a beautiful restaurant, with the food priced and presented really well. You could taste the spicy, the tangy, and the exotic all in one bite. Most dishes, from mains to the condiments are made from scratch here. More than anything, I loved the ambience and the friendly nature of the staff. It is definitely a place I will be visiting regularly and would recommend the same to all of you.